George Harrar is a fiction writer whose short stories have appeared in a dozen literary magazines. “The 5:22” won Story Magazine’s Carson McCullers Prize and was selected for the 1999 edition of Best American Short Stories. His first novel, First Tiger (Permanent Press), debuted in 1999 and was followed in 2003 by his literary mystery The Spinning Man (Penguin Putnam), described by The New York Times as “elegant and unnerving.” This novel has been adapted into the film “Spinning Man,” starring Guy Pearce, Minnie Driver, Pierce Brosnan and Odeya Rush, in theaters and On Demand starting April 6, 2018. 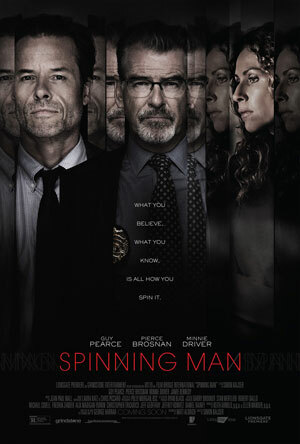 A reissue of The Spinning Man is now available on Amazon with a film-themed cover. Harrar’s most recent novel, Reunion at Red Paint Bay (Other Press) has been described as a Hitchcockian suspense novel by Kirkus Reviews. Booklist said: “Harrar is one of those writers on the verge of connecting with a much larger audience: this could be his moment.” “Reunion at Red Paint Bay” is in production as a French-language television film, titled “Examen de Conscience,” slated for showing on France 2. An English-language screenplay written by Harrar from his own novel is currently seeking a producer. Harrar’s fiction for young adult and middle-grade readers includes Not As Crazy As I Seem and The Wonder Kid from Houghton Mifflin, and Parents Wanted and The Trouble With Jeremy Chance from Milkweed Editions. Harrar grew up in Jenkintown, Pennsylvania and graduated from New York University. He worked as a journalist for many years, writing and editing on several newpapers and magazines. 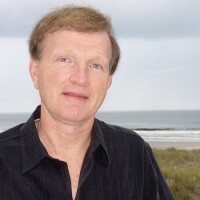 He lives now in Wayland, Massachusetts, with his wife, Linda, a documentary filmmaker whose work has appeared on PBS, Discovery, and Turner channels. They have one son, Anthony, the model for the protagonist in Parents Wanted.